FLY led a peaceful sit-in at the new $700M hospital the University of Chicago is opening, on January 27th. 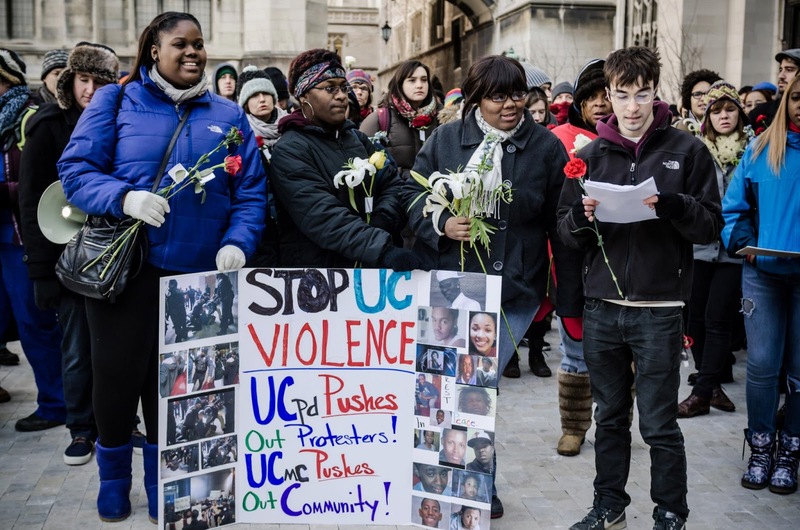 It was met with violence and arrests by the University of Chicago police (see links below). The violence we were met with by the police is the same violence the hospital inflicts by turning its back on the community. We say stop the violence! We are pushing back harder than ever, call President Zimmer - (773) 702-8800 - and tell him: Set up A Meeting with FLY, SHE and Sharoon O'Keefe. Activists say gun control isn't the only thing needed to reduce deaths...they also need more trauma centers.